Posted Thursday, March 22nd, 2012 by Robyn Warner. Certain offices would benefit tremendously from a laser printer that has finishing functions. Many big business printers offer these finishing capabilities as optional upgrades. The price of a printer with built-in finishing features will be a bit higher than a standard laser unit, but the time and manpower that will be saved is priceless. Finishing options go beyond printing and stacking documents and provide organizational capabilities that make it an essential investment for the appropriate offices. Printing multiple 10-page packets for all of the employees? You can use the collating feature. 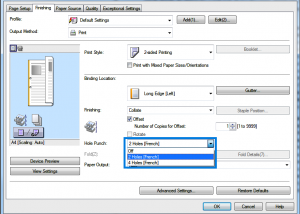 This will print pages 1-10 in consecutive order as many times as denoted. You will not have to worry about sorting and arranging each packet yourself. Frequently printing documents to be held in a 3-ring folder? Set the mode to automatic hole-punching. 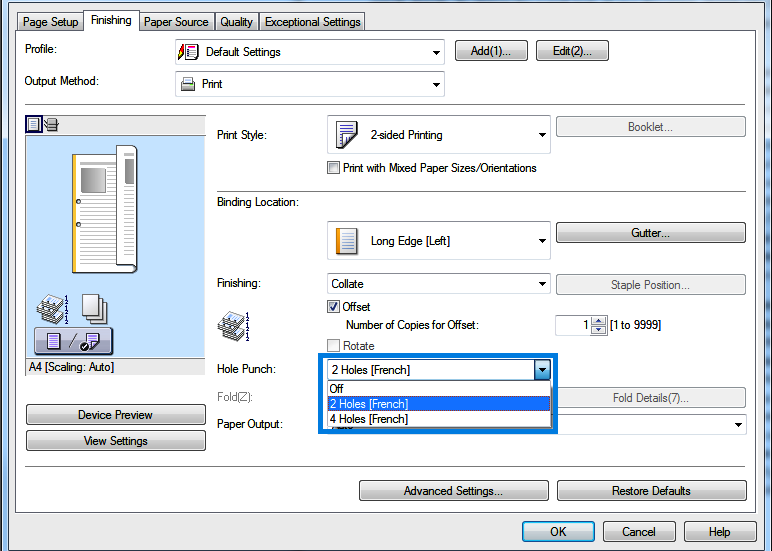 Rather than printing numerous pages and having to punch the holes yourself, this finishing feature will do it for you. This particular capability may be especially beneficial in a school or library. 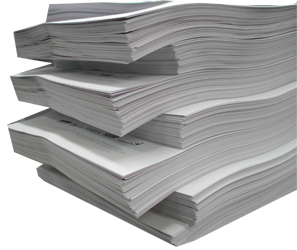 Tired of taking hours out of the day to fold hundreds of documents? An automatic folding feature will eliminate that from your day. Just choose the type of fold you are looking for and wait. This feature will appeal to a number of offices that print invoices, brochures or paychecks. Have tasks that require stapling? 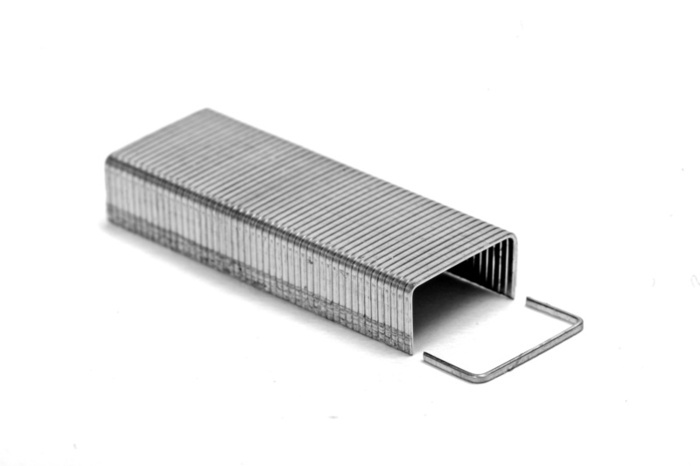 The stapling feature can be set to distribute a single staple or many staples. A folded document, such as a booklet or brochure, can be stapled along the crease of the fold. This is known as saddle-stitching; imagine the time that could save! These features can be done in succession. 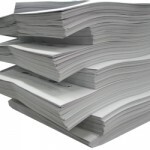 If a document needs to be folded and stapled, that can be done in one sweep. To access these functions, pull up the Print screen and go to the Finishing tab. 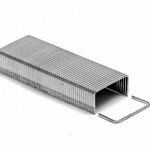 The stapling and collating options can generally be found in the Finishing section while the folding and hole-punching features are listed separately below Finishing. (It may vary slightly from model to model). If any of these scenarios ring true for your office, consider purchasing a new unit with finishing options or at least a base model that finishing features can be added to. Having a printer that can reduce the amount of time it takes to complete multiple tasks will be an absolute asset to any office.